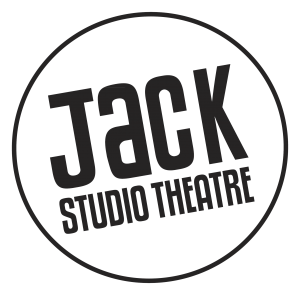 The Jack Studio Theatre is a registered charity, Charity No 1143158, Company No 07066192. Registered address is 410 Brockley Road, London, SE4 2DH. This is information about you that you may give us by: visiting The Jack Studio Theatre’s website; booking tickets for a show at the Jack Studio Theatre; joining the theatre’s e-mailing list; making a donation; signing up to one of our workshops; commenting/engaging with us on Social Media and Apps; contacting us (via website/email/phone); filling out a show feedback form; having applied for a role/freelance opportunity at the Jack; having submitted a production proposal. With regard to each of your visits to our Site, we may automatically collect the following information: your IP addresses; geographical location; browser type; referral source; length of visit and number of page views. Individual users will not be identifiable from this information and we may use this information for a number of purposes such as and without limitation optimising the use of the Site, disclosing to third-party contributors or for security purposes. We may use an analytics service provider for website traffic analysis. You should note that the public elements of the site will be visible to users of the Site anywhere in the world. You should, therefore, be careful when submitting information about yourself and only submit information that you are happy to be public information. We use your information for the following purposes: to provide you with marketing communications, news and information by email about our productions, workshop and events, where you have consented to be contacted for such purposes; to help build and develop our audience; to ensure that content from the Site is presented in the most effective manner for you and for your computer; to allow you to participate in interactive features of our service, when you choose to do so; to administer, support, improve and develop our Site; to internally monitor users’ use of the Site to enable us to analyse audience make-up, track booking patterns, review audience attendance and review other Site behaviour. We may share information about you with analytics providers for the purposes of improving our website (this will not identify the user), with other organisations who help us deliver services to you, and for the purposes of complying with legislation and/or law enforcement agencies. If you do not wish us to install cookies on your computer for these purposes, you may change the settings on your internet browser to reject cookies. Please note that if you do set your browser to reject cookies, you may not be able to use all of the features of our Site. For further information about cookies see aboutcookies.org. We will put in place appropriate safeguards (both in terms of our procedures and the technology we use) to keep your personal information as secure as possible. While we will use all reasonable efforts to safeguard your personal data, data transmission over the internet is inherently insecure, and we cannot guarantee the security of data sent over the internet. You may request us to cease sending you any marketing information at any time by email, or by clicking the unsubscribe link in our e-shots. Please be aware, simply unsubscribing from mailing lists does not mean we no longer store your information. You can ask us to remove information about you. Please note that some information (financial transactions/gift aid forms for example) will need to be held securely for statutory/accounting purposes.